Over the past month we've been trying out a different type of cat litter, one that isn't based on clay or wood like traditional litters, but one which is corn-based. Corn! 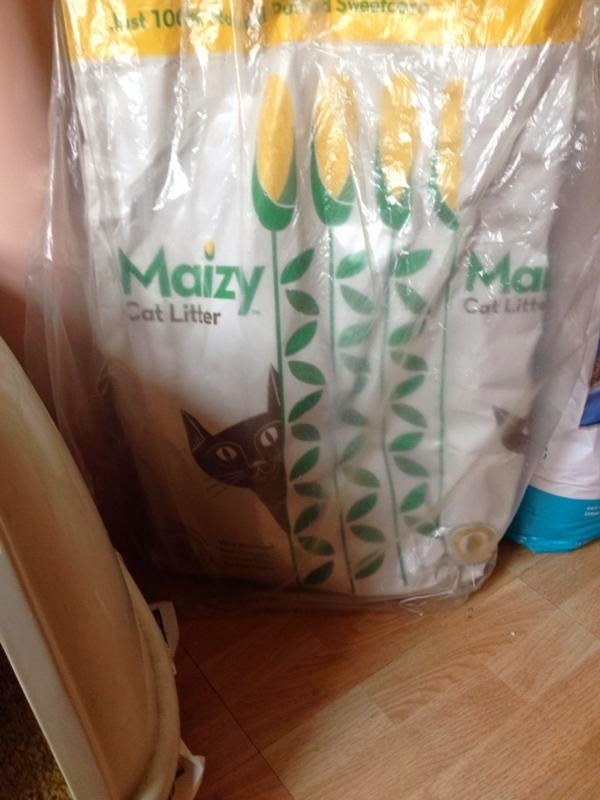 When we were offered this product, Maizy cat litter for review from Pets Corner and were told it was corn-based we were imagining all sorts of things - admittedly most of them were around a litter tray full of "Green Giant" type corn nuggets or corn-on-the cob kernels... Spoiler alert - the litter doesn't look at all like what we were imagining. Before I plunge into this review, some background information: We have two cats here, Harvey and Tiggs. 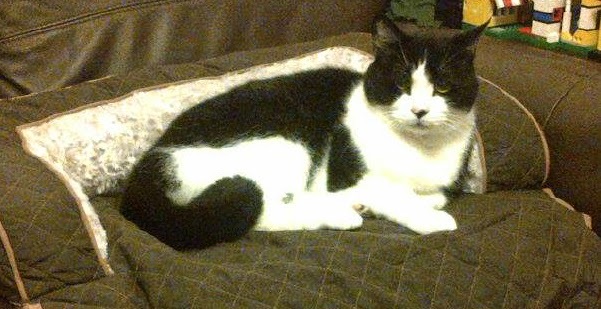 Tiggs spends about 80% of his time outside, but Harvey is an indoor cat and has been litter trained since kittenhood. For the purposes of this review, with Harvey being the primary litter user in the house, we will assume single cat usage. Currently we use non-clumping clay-based litter for the litter tray. We regularly remove and dispose of faecal matter from the tray, freshening up the litter as and when required, with a full litter change being carried out between once a week and once a fortnight. The tray is enclosed and situated in our bathroom. (Well, it makes sense to have the cat toilet near the human one). At the beginning of this month Harvey's litter was due a full change so we removed the old clay litter, gave the tray a quick clean, lined it with newspaper (which is what we usually do) and filled up with Maizy. The obvious thing from the litter is that it is yellow; however you can see that it looks more like fine-grained standard litter than lumps of corn. Initial impressions for us were good. The litter, although a sizeable bag, is quite lightweight. It also appears to have very little dust compared to many regular clay-based litter products. It smells quite pleasant. We left it in the tray and let nature take its course. Unlike our regular litter Maizy is a clumping product. This means that there is a little more involved than just filtering out excrement. You additionally have to remove the clumps formed when the cat urinates. This isn't too hard a task, but can be a little more time consuming. Our litter tray has two compartments and a filter to help with this, so we would simply line the second tray, place the filter over it, and then tip the old tray into it. A little shaking later and the mostly clean litter would be in the new tray while all the clumped waste matter would be in the filter. We would then add a small layer of fresh Maizy litter to the tray, clean the previously used compartment and put the box back together. To see how often we needed to remove the clumps we experimented with the number of days between changes. Essentially we found that you could get away with clearing the litter every other day. Longer than that and you would start getting a noticeable cat odour. When it came to removing the clumps I should mention the smell. If you've ever had small animals (like mice, rats, guinea pigs, etc.) you have probably kept them on sawdust/wood shaving-based bedding. When you clean them out, there is a certain smell it has which is obviously a mixture of urine and sawdust. It is a smell similar to that which you face here. This isn't a bad thing. Usually used cat litter has a far more noxious and unpleasant smell to it. This is much nicer. We found that, by regularly removing the clumps and cleaning the trays, the litter supplied in the 24 litre bag that we were given was enough to last about 3 weeks. After this point the litter was due a complete change. We did have an amount of litter left in the bag, but not enough to refill the tray. (Our tray is quite a large one, although that is partly because Harvey is quite a large cat; smaller cats and smaller trays may get better mileage from a single bag than we did here). Maizy cat litter is also more environmentally friendly than regular cat litters; it is biodegradable and earth friendly, which means it can be composted or flushed (regular litter has to be disposed of in the normal non-recycling weekly bins collection). It's available in two sizes, the 24 litre we tested and a smaller 12 litre bag. 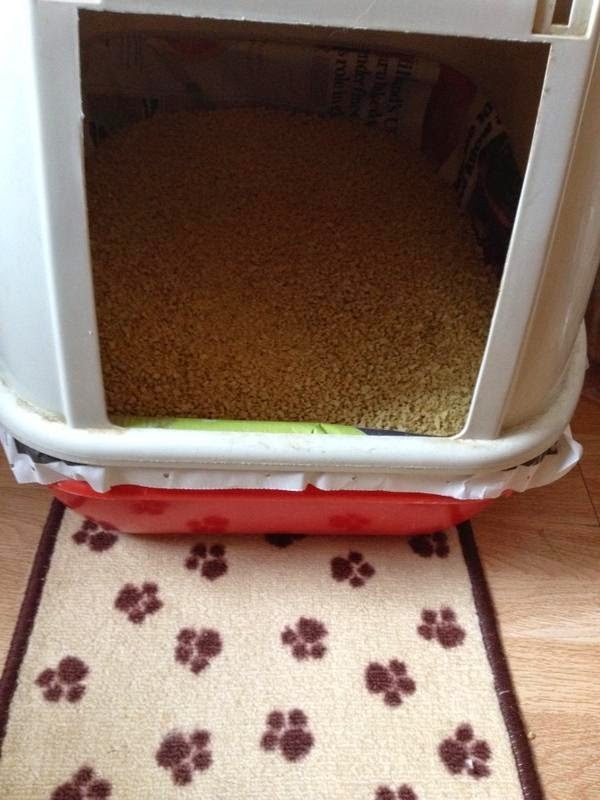 The finer grains of the litter means it's suitable for cats with sensitive paws - not a problem we have here, Harvey seemed fine using the litter. Some other "fine grained" litters we've used in the past have changed the colour of his paws, however there was no noticeable change in their colour during the month (I suspect when this has occurred previously, there has either been a higher dust content or it's the nature of the litter's colour that it transfers easily during use). Personally I like the product. It is lightweight (even when completely emptying a full, used, litter tray), low dust and has a fairly pleasant smell - both when fresh and used. It is nice that the litter is environmentally friendly, especially when it comes to its disposal. All in all it's a good ecological alternative to clay-based clumping litter. 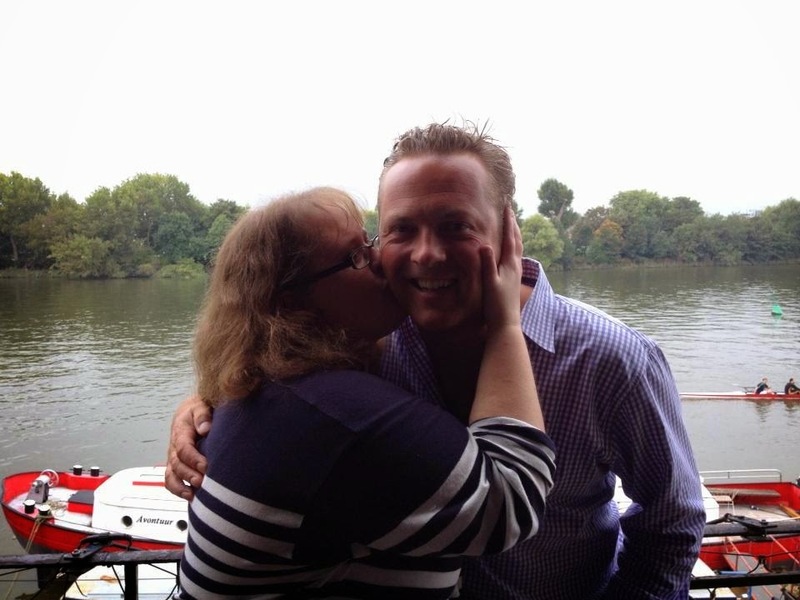 For the past two and a half years I have been running the Jules Hudson Fans Facebook group and Twitter. Jules Hudson is a fantastic presenter who I admire a lot. He presents Escape To The Country and Countryfile. About two years ago I got to meet Jules for the first time and he is such a lovely down to earth chap. I have met him a few times since then. In fact I wrote a blog post about him in May (click here to read it). In the past two years I have been trying to organise a big group meet up with Jules and his fans but because of his busy schedule it has taken until now for us to organise one. The meet up was held in Hammersmith, London last Saturday. I woke up that morning with butterflies in my stomach. I always get nervous to see Jules (not sure why as I have met him five times before and each time he has been lovely and I have been fairly relaxed when I am with him) but I was also nervous for a few other reasons; 1. What if we couldn't find the pub? 2. What if not many people turned up? (some people let me down in the last few days before the meet saying that they couldn't attend for whatever reason) and 3. I knew I had to do a speech to say thank you to Jules and his partner T from the group and I am not used to getting up and talking in front of a load of people. Neil and I arrived at the The Rutland pub in Hammersmith at about 11:30am and there was already the other two Facebook group admins Jane and Cathy waiting outside the pub as it was shut. A few other members had arrived too. Not long after I arrived the doors were opened for us. Jules and T had booked the upstairs function room for us. The Rutland is on the bank of the river Thames. The upstairs function room had gorgeous views of the river and the Hammersmith bridge. Such a lovely location with the doors to the balcony open for us to go out and admire the views. Not long after more people started to arrive and then Jules and T arrived with their gorgeous dog Iolo. I spent a lot of time trying to get around to chat to the other members of the group. It was great to meet friends I have been chatting to for so long on Facebook. It's amazing as we wouldn't have met if it wasn't for our the fact we all think Jules is an amazing presenter and a bit of a hunk. Jules and T had organised a yummy buffet for us too. To be honest I personally didn't eat much but it all looked lovely and I know Neil had a good portion of food and enjoyed it. I was too busy trying to get around to everyone because as the admin I was the person that everyone knew. Everyone came up to me saying "Hi Ellen" when they arrived and I didn't have a clue who was who but luckily thanks to Camilla's suggestion awhile back we decided to wear labels with our names on so that Jules knew who he was talking to and we all knew who we chatted to. It was amazing that people had come from all over the UK including Barbara who had just arrived back to the UK after 40 or so years of living in Australia. She bought Jules a Koala toy back with her which Iolo thought was for him but Jules didn't let him have it. We then gave Jules and T their presents from us fans. We had a whip around and bought them a bird house that Kelly decorated with J&T Bird Hotel on it, some of Jules' favourite whisky (Highland Park), a Land Rover clock, a personalised Thornton's Hamper and some drink for T. We bought Iolo some treats as well. We had a little money left over which Jules has asked me to look after to put towards our next charity fundraising. Some of the girls from the group had kindly bought me some presents too which was such a lovely surprise. After we had eaten we gave Jules his thank you card that Cathy's really talented daughter Danielle designed. She is so good at design. She designed our Facebook group banner too. We had all signed the card. So Jules took the opportunity to say a few more words. Then Jules went on to have pictures taken with everyone (including one of Jules holding little Jane in his arms as she is so tiny) and to sign some promo cards he brought along. I managed to get one for Joan in our group who couldn't make it to the meet and for a lady whose daughter loves Jules in Australia. I also got one for my niece Lilly saying Happy Birthday on. She was really chuffed with it when she received it on her birthday. Then we decided it was time for a group photo of all us members. This took a bit of organising and a bit of squeezing everyone in to get in the photo. I love this picture because it also has Iolo in at the front. At about 3pm the meet up ended and we said goodbye to Jules and T. A small group of us went on to Victoria for a drink before everyone had to catch their buses/trains home. It really was an amazing day. I am so glad it all came together and I am proud of myself for getting through the nerves and doing my speech. I love our Facebook group and I have made lots of lovely friends. I hope the group keeps growing and growing and that we can have another meet up in the future. Thank you to everyone who made it and helped make the day so amazing and a special HUGE thanks to Jules and T for being so lovely and meeting us. Last weekend Neil and I spent three nights in London. We left Kidderminster on Friday morning for our journey to London. I am not the best traveller and had lots of anxieties about the train journey and using the underground whilst in London. For me the worst part is not being able to get off the train if I want to. We arrived in Marylebone in the afternoon and then went and bought our Oyster Cards and topped them up. For all the travelling we did it was well worth it. We then got the tube across to our hotel at Putney Bridge. We stayed at the Premier Inn just at the end of the bridge. The hotel room was lovely. I was a bit disappointed I didn't have a river view but still the room was nice and clean, the shower was good and it wasn't too noisy around the hotel. I think it helped that the bridge was closed to traffic for repairs so we didn't have lots of traffic going by. The bridge was open to pedestrians though which was fab. 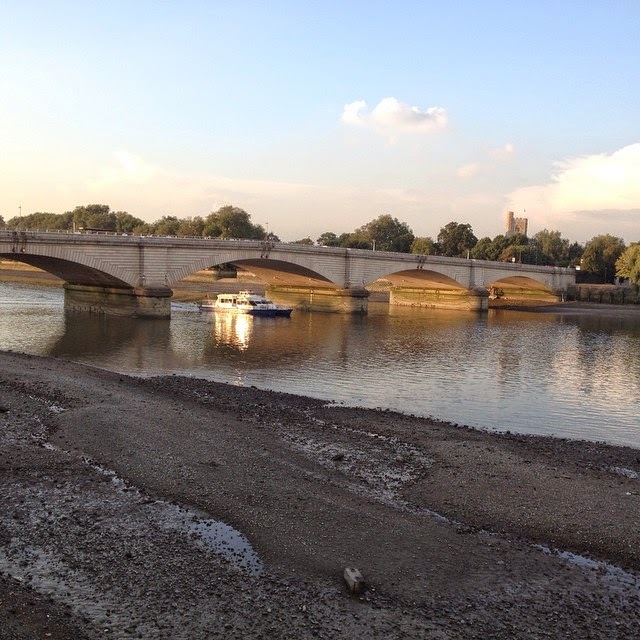 Our reason for choosing Putney was that it wasn't right in the centre of London but was only a 20 minute ride on the tube and on the Saturday we needed to be in Hammersmith for the Jules Hudson Fans meet up. We both loved the area and have decided that if we go back to London again we will definitely stay in the same hotel again. Putney is a lovely area and on our first night we walked up the high street and had a look around some of the local shops and went to a restaurant called The Rocket overlooking the river and the bridge. It was great to watch the boats go by and just relax. The food was great too. 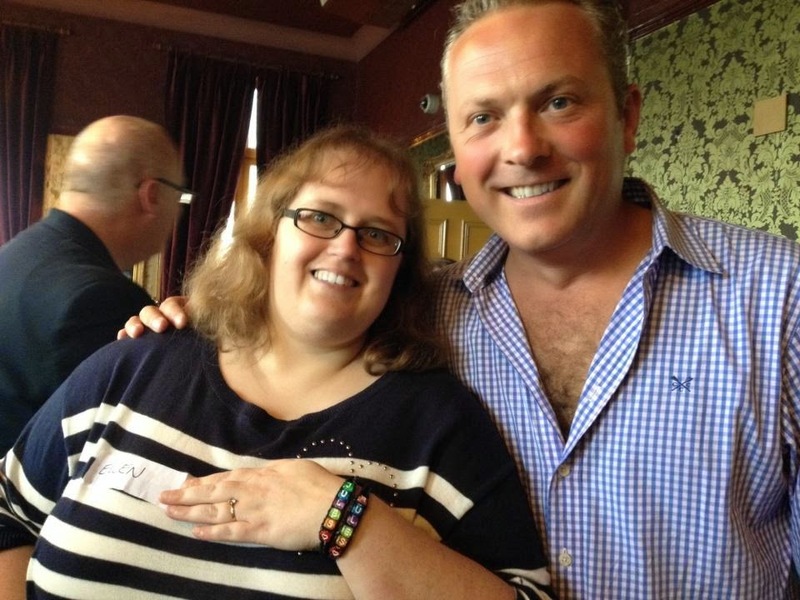 On Saturday we went to the Jules Hudson Fans meet up which was absolutely amazing (blog post here). In the evening we went back to Putney to The Rocket for another meal. Sunday was our main day for visiting some of the sights of London. Before we went to London I knew I definitely wanted to go and see the poppies at The Tower Of London. There are 888.246 ceramic poppies in the moat at the Tower. Each one represents a British military fatality during World War I. When we got there it was absolutely packed with people (as to be expected) but we quickly managed to get to good viewing points to see them. Such a gorgeous sight and a great way to remember the people who fought and lost their lives for us in the war. Then we went off to Forbidden Planet in Tottenham Court Road. 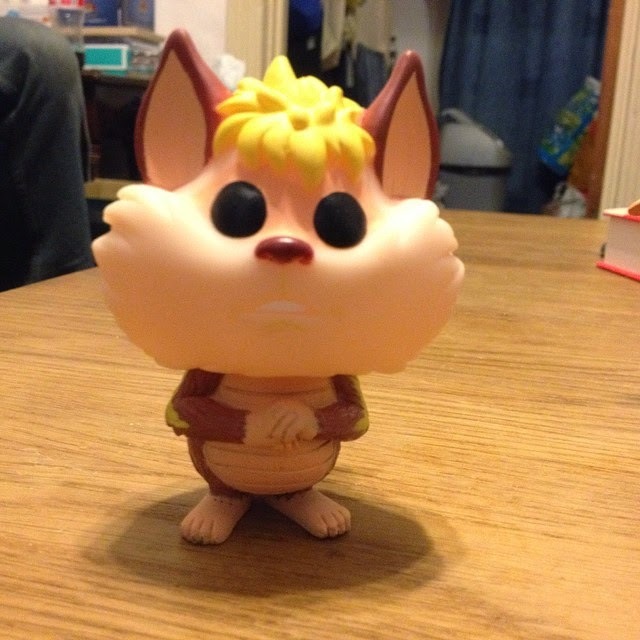 I was looking to buy the Lumière pop vinyl figure but they didn't have any in so Neil bought me a Gizmo pop vinyl from The Gremlins and a Snarf from Thundercats. They are so cute. We then decided it would be nice to visit Buckingham Palace. I love our Royal family. I know some people don't but each to their own. I think the Royal family bring in a lot of tourists to our country and I wasn't wrong as it was very busy near the palace. We walked through Green Park to the palace which was lovely. I think the last time I visited Buckingham Palace was when I was a child so it was great to visit again. Afterwards we took a walk through St James's Park. There were so many amazing different birds around the lake. We spent quite a bit of time walking through the park and around the lake. A lot of people recommended for me to go on the London eye. Again I was a little nervous that I would feel claustrophobic in there and you can't get off if you want. I am not scared of heights. I decided to go for it though and I am so glad I did. We probably went on it at the wrong time of the day as the sun was going down so the lighting wasn't great on some pictures but I still had an amazing time. I didn't feel ill at all on there. I enjoyed looking at all the different views of London and the river Thames. If you ever go to London I would definitely recommend it. After our flight we decided it was time to head back home. As the evening was drawing in. I took my 3DS with me and we worked out from the steps we had done that we had walked over 6 miles that day. It was so nice to go and see some of the sights. 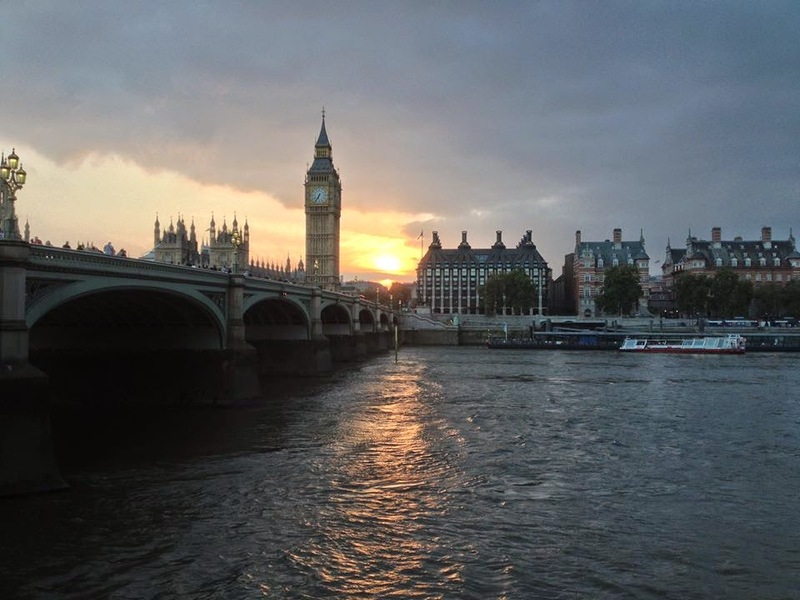 I took this picture which I really like of the sun setting behind Big Ben. On the Monday we went to see Phillip Schofield outside the ITV Studios. Then we headed back home. Overall it was one of the best weekends I have had in a long time. Whilst in London I bought a little prize to giveaway to one of my blog readers. 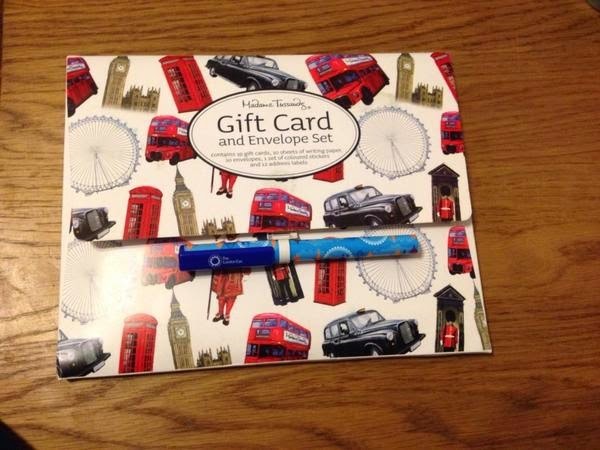 One winner will win a Gift Card and Envelope Set that contains 10 gift cards, 10 sheets of writing paper, 10 envelopes, 1 set of coloured stickers and 12 address labels and also a London Eye pen. I didn't get around to doing my wins of the week last week so these are my wins from the last two weeks. 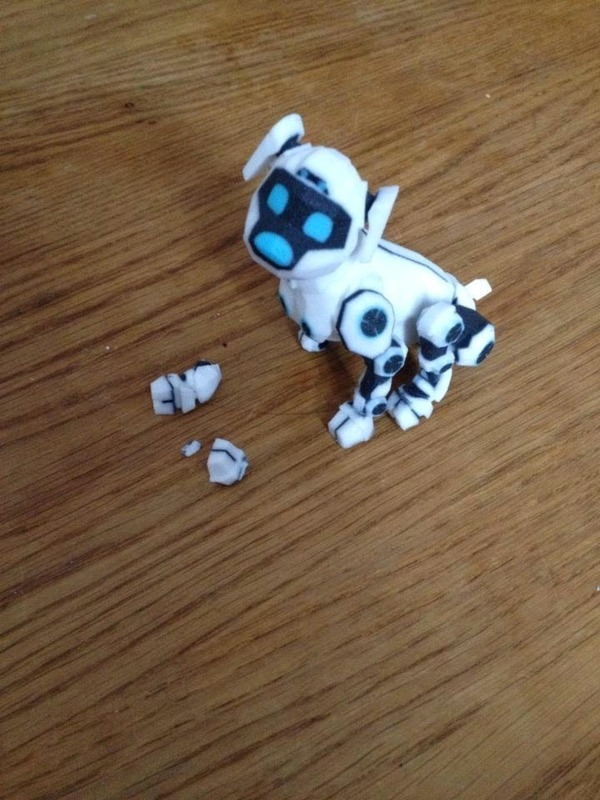 Competition prize win number 1154: A Fido statue. I won this from Pocket Gamer on twitter. 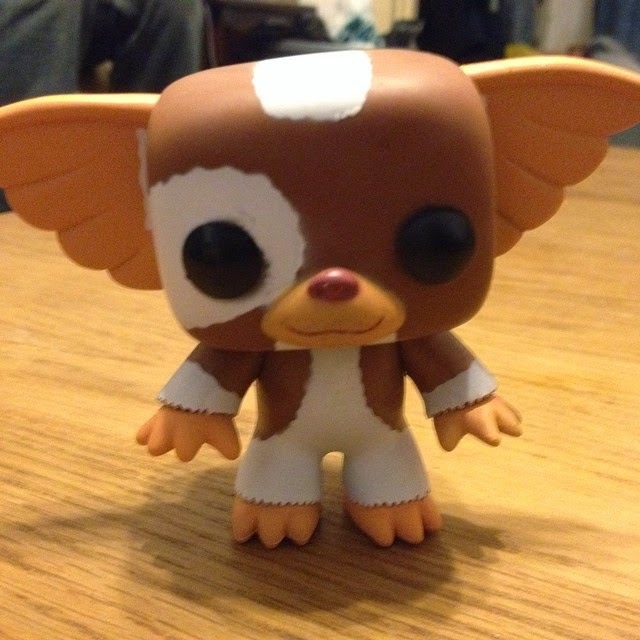 I love him but sadly he came with broken legs. He came in a jiffy bag and because his legs are very fragile it wasn't enough for him. I have messaged Pocket Gamer and they are looking in to getting me a replacement. In the meantime Neil is going to try and super-glue them back on. 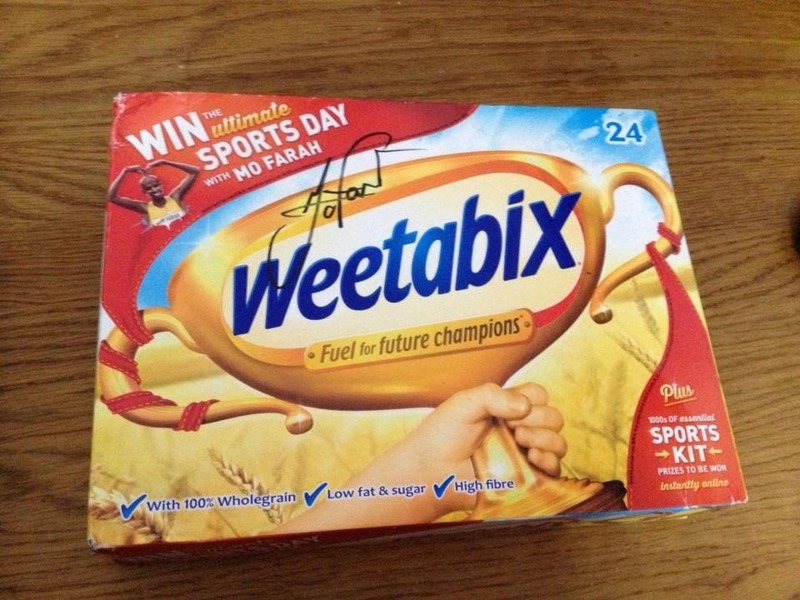 Competition prize win number 1155: I won a box of Weetabix signed by the amazing Mo Farah from Weetabix on twitter. For some time now I have collected autographs and have a great collection. I haven't sent off for many recently though as stamps are so expensive. This is a great autograph to have for my collection and Neil is working his way through the Weetabix. 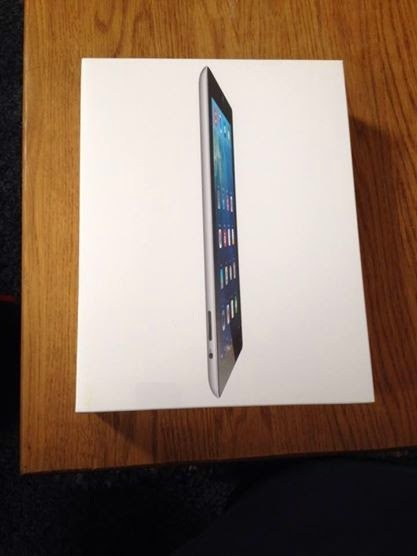 Competition prize win number 1156: An iPad 4. This is my favourite prize from the two weeks. I am so chuffed I won. It was from The Mascot Vote which was a fun competition where you got to vote for your favourite mascot. I chose Coca Cola's Father Christmas which won in the end. Winning a big prize like an iPad really makes my day and worth the hours and hours of entering competitions. I love this hobby. Competition prize win numbers 1157 and 1158: I won a couple of samples on Facebook. 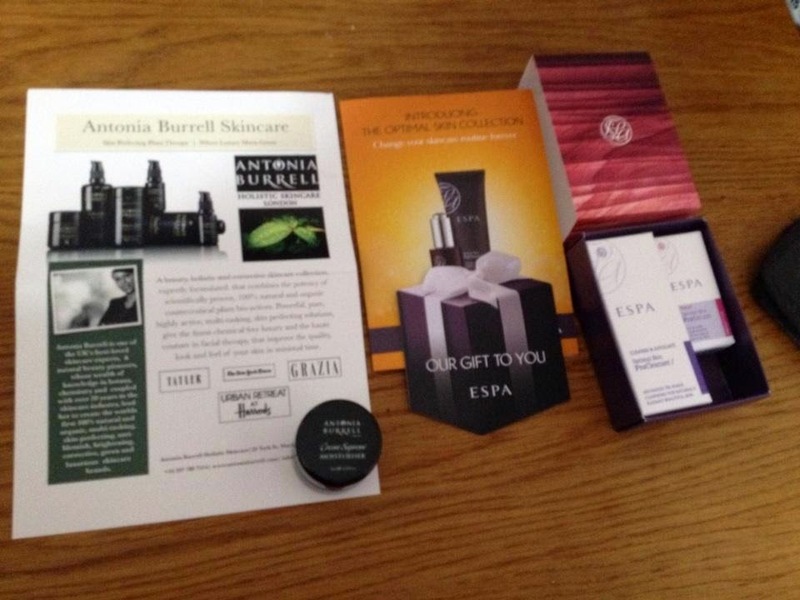 I won some ESPA Samples in a spin to win game and a sample of Antonia Burell Moisturiser on their Facebook page. I am sending the ESPA goodies to my sister and keeping the moisturiser for myself. 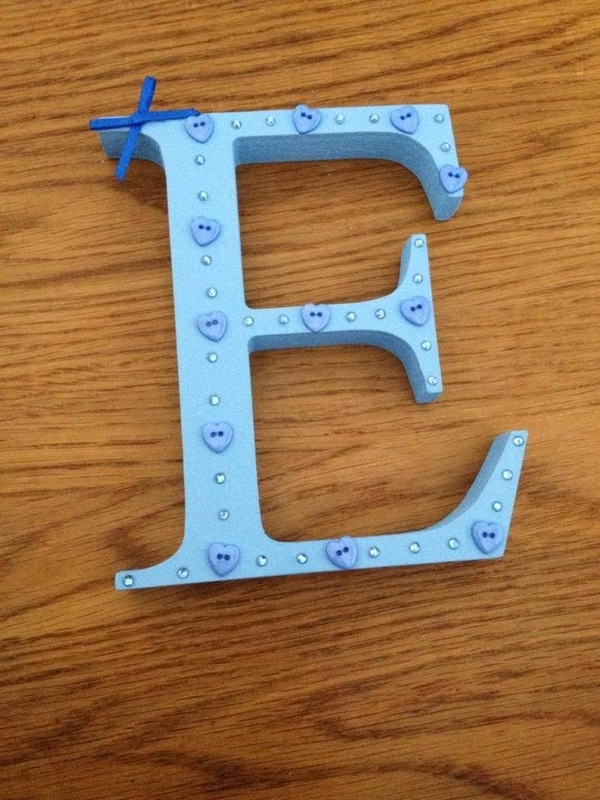 Competition prize win number 1159: I won a lovely decorated letter E from EJ Designs on Facebook. Emma who runs the page asked me what colour and design I would like. I told her I would like blue and to leave the design to her. I love it. The colour is my favourite sky blue colour and I love the buttons and gemstones and lovely ribbon the top. 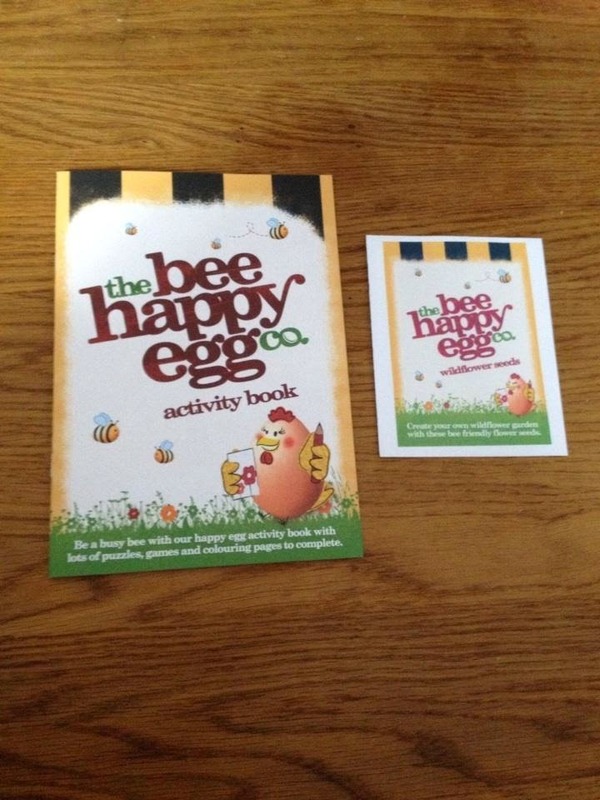 Competition prize win number 1160: Some Happy Egg Seeds and an activity book. This was on an instant win competition on the Happy Egg Company page. I think I have won about five times so far so I am sure there is more to come to pass on to my nieces and nephews. 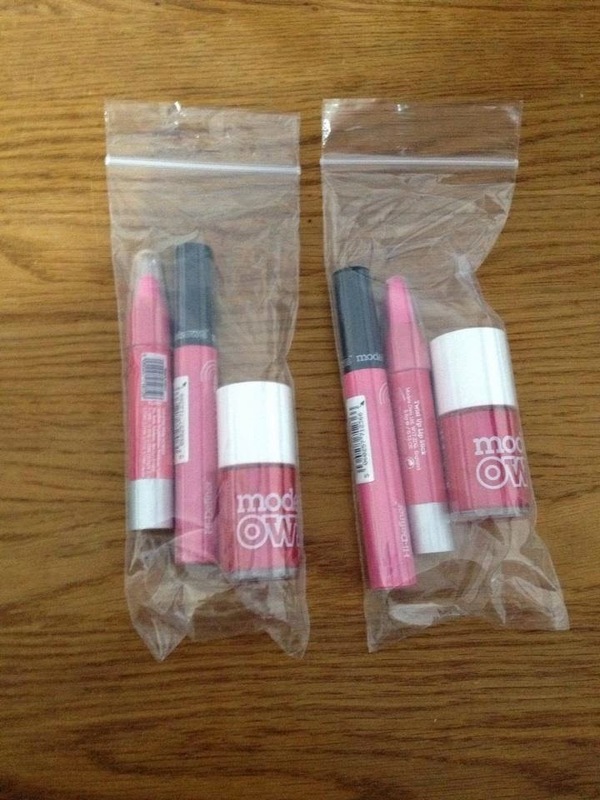 Competition prize win number 1161: I won more Models Own make-up from the Echo Falls instant game. My sister loves all the make up so I am going to send them to her. I always manage to win her mascara. 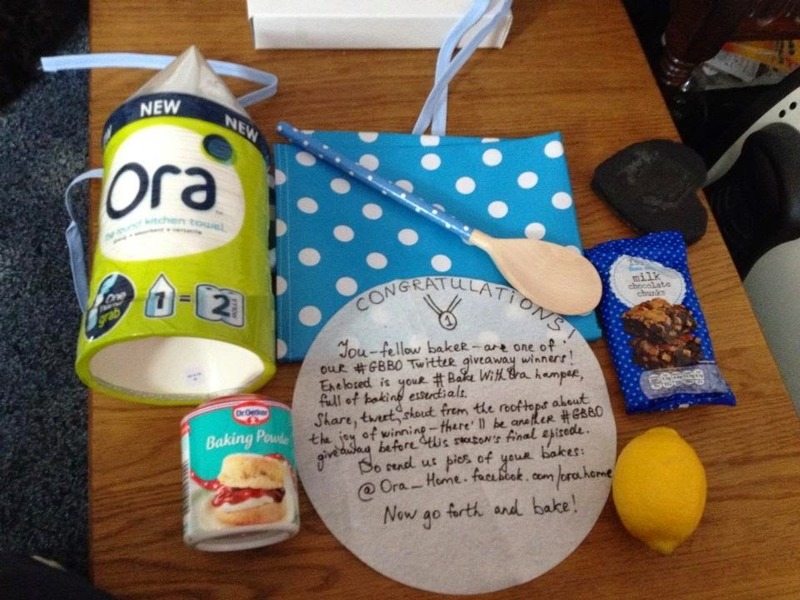 Competition prize win number 1162: I won this fab baking hamper from Ora on twitter. I love winning hampers. I haven't seen their kitchen towels before but it looks fab. I really love the wooden spoon the most. 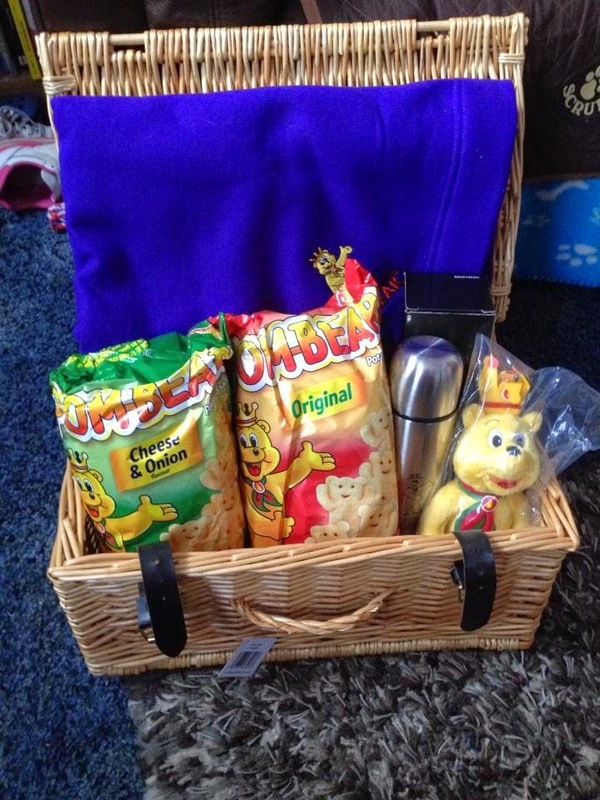 Competition prize win number 1163: A fab Pom Bear picnic hamper that I won from Made For Mum's. I am sure one of my nieces or nephews will claim the bear. It's a lovely hamper and the rug feels lovely and soft. And that's all my wins from the last two weeks. I also have two competitions running on my blog at the moment. The winner of my Loom bands competition is Angela Williams. Well done Angela, I have emailed you to claim your prize. Why not leave me a comment of what you have won in the last two weeks. Surprise from Jelly Belly Jelly Beans. As I don't drink hot drinks this review has been written by my fiancé Neil. Hello there! 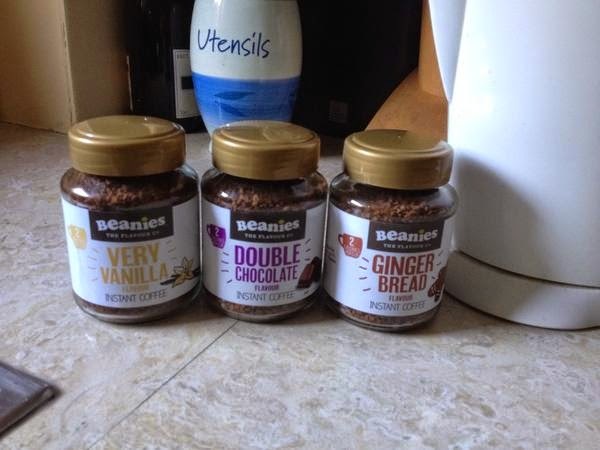 Ellen has asked me, as the coffee drinker in the house, to review some flavoured, instant, coffee blends from Beanies, the flavour company. So, today I'll be reviewing the flavours "Double Chocolate", "Very Vanilla" and "Ginger bread" (There are more flavours in their range, but these are the flavours that particularly appealed to me). So, starting with the Very Vanilla. On opening the jar you get an incredible aroma of vanilla. With these coffees they say that they aim for it to be sweet enough with the flavour that you should not need additional sugar or sweeteners. Because of this I initially tried the coffee without my usual mountain of sugar. My first impressions was that the coffee was a nice flavour, but the vanilla flavouring was quite subtle. I also found that it wasn't sweet enough for me so I had to add additional sugar - but all in all it was a pleasant cup of coffee. Moving onto the Double Chocolate. Similar to the Very Vanilla, you get a great aroma on opening the jar. There is a definite feel of mocha about the scent you pick up. Making the coffee, again I had to add extra sugar (but no more than two spoon's worth). The flavour is a little more noticeable here. There is a wonderful dark chocolate bitterness running through it; I know that coffee and chocolate are great complimentary flavours anyway, so I shouldn't be surprised by this. But I felt this really worked quite well. Definitely one of my favourites. Finally the Ginger Bread flavour. The expectation here is quite high, you might have noticed my disappointment that certain major chains only run gingerbread flavoured coffee's during the "holidays." What I want from this coffee flavour is something magical that really satisfies my gingerbread-loving needs. But does it deliver? First impressions; you get a strong smell of ginger on opening the jar - from the previous flavours I was expecting a good scent and am not disappointed. Taste-wise it delivers too. There is a definite ginger flavour running through it; I would say it's more of a crystalized ginger flavour than a gingerbread one though - although that isn't a bad thing. Of all the flavours I was expecting this to be my favourite and it is. All in all, not a bad selection of coffee; and a really nice idea. For me it failed on the not needing extra sugar claim, but that is probably more down to me and my sweet tooth than them and their coffee recipes. (The jars say that, including the flavouring, each cup starts at only 2 calories - so adding a little more sugar isn't the end of the world). I found the flavours a nice change from standard instant coffee. The coffee itself was good and the flavours ranged from subtle to more intense and, in my mind worked well. They might not be as potent as some of the syrupy coffee-shop lattes, but they're a nice and flavourful alternative. Because of this I feel fine recommending them and their range of coffee -- but you don't have to take my word for it. Beanies, the flavour company have generously offered us a selection of all their flavours to give away to one lucky blog reader. The flavours are Amaretto Almond, Chocolate Orange, Cinder Toffee, Cinnamon Hazelnut, Double Chocolate, Ginger Bread, Irish Cream, Nutty Hazelnut and Very Vanilla. Closing date: 8th October 2014. Terms and Conditions : Entries close at midnight on the closing date. Winner will be selected at random within the Rafflecopter. The winner will be contacted by email after the closing date and if I haven't heard from you within a week, I'll have to pick another winner. Prizes will be sent out by the companies or their PR directly to winners. Webkin's World cannot be held responsible for any prizes that go missing! As some of my readers may have noticed I have not been posting as much lately. This is because I am suffering from what I call "fatigue". The reason I call it that is because even though I have been like this for over half my life now (18 years and counting) I have never had a diagnosis. So I have to name it something. I have to continually describe how I feel pretty much every day of my life to people because I haven't got a name for it. I started noticing something was really wrong with me after I had a glandular virus when I was 16 going on 17. I remember my very first job was working in the office of a shoe shop and I just couldn't cope with it and I remember my boss talking to mum when I handed in my notice saying "Do you think your daughter has M.E?" When I was 18 I got a great job working in I.T. Support. I have always had a keen interest in computers and gadgets and I really thought the job was going to be the making of me but again I couldn't cope with it, the longest I went without having a day off in the week because I felt ill was five weeks. I then started a job in web design which I really enjoyed doing but within the four days I was there I became ill and was diagnosed with glandular fever. Following on from that I had depression and I have been on anti-depressants since then. However the fatigue started way before the depression so I don't think the tablets make me more tired. After that Mum bought a B&B which I helped run. I would help in the mornings and then go back to bed in the afternoons. When Mum sold the B&B I found my most recent job which was working from home helping to run a B&B booking agency. I worked for B&B Net for ten years and for me it fitted in with my fatigue well. I had a good boss who was very understanding to my illness and I basically managed to work around sleeping. Sadly I was made redundant last summer. I am continually trying to explain to people how I feel and it's so hard because I feel like I can't find the right words to describe exactly how I feel. When I wake up in the morning I don't feel refreshed. I never wake up and feel "it's a new day lets get up and get going." I wake up tired. A typical fatigue day: I get up. I have some breakfast and walk the dog around the block. I come home and I feel this overwhelming feeling of tiredness. My whole body aches, my eyes feel sore something inside me says that I can't cope and I need to rest. I go back to bed for a couple of hours and hope that the afternoon will be better. I get up, have lunch, walk the dog, come home and get the same feeling again so I go to bed and get up for the evening (on really bad days I even end up back in bed at 8pm again). I can't remember a time when I didn't feel tired to be honest but some days are worse than others. Some days I feel so tired it upsets me and I cry because it makes me feel so bad about myself and such a failure. On really bad days I sleep 20 out of 24 hours. I feel despair, upset and like I am wasting my life away but I can't seem to find a way out of it. I think some people think I am making it up and I am just lazy or something which makes me feel ever worse about myself. Sometimes I have a good day and don't go back to bed all day but then I am most likely to have a bad day a day or so afterwards. I have seen about five different doctors in the last 10 years, some in Bath where I used to live and so far one here in Kidderminster and still I have no diagnosis. I have had countless blood tests and nothing shows up. I have been tested for all sorts of things such as thyroid problems and diabetes. When the results come back with nothing the doctors seem to give up on me and I go back to not knowing what is wrong with me until I decide to go to a different doctor in the hope that they will diagnose me. If I had a diagnosis then maybe I could work on it or find out some way to help get better. At least I would know what was going on with me and make it easier to explain to other people how I am feeling and what it is. At the moment I am unemployed and have been for a year. I want to work but right now I don't feel I could cope with it and I won't apply for jobs when I know I can't be reliable. I feel like such a failure and so down about myself because of this. The illness whatever it is rules me. I don't feel like I have a choice. I am very lucky I have such a lovely fiancé who is very understanding and doesn't put too much pressure on me. I find the simple things in life like doing the house work hard sometimes because I am so tired. When I was in Bath I would often call my Mum down to help me. I feel like such a failure that I can't even cope with normal day to day living sometimes. Later on this month I have booked an appointment to see a different doctor. I really hope she can help me get to the bottom of this so I can move forward. Right now I just feel like I am wasting my life in bed. So if I go quiet on my blog for a few days it's most likely that I am not feeling up to it. I am just too tired to concentrate sometimes. Fingers crossed I can get to the bottom of this and get my life back on track. 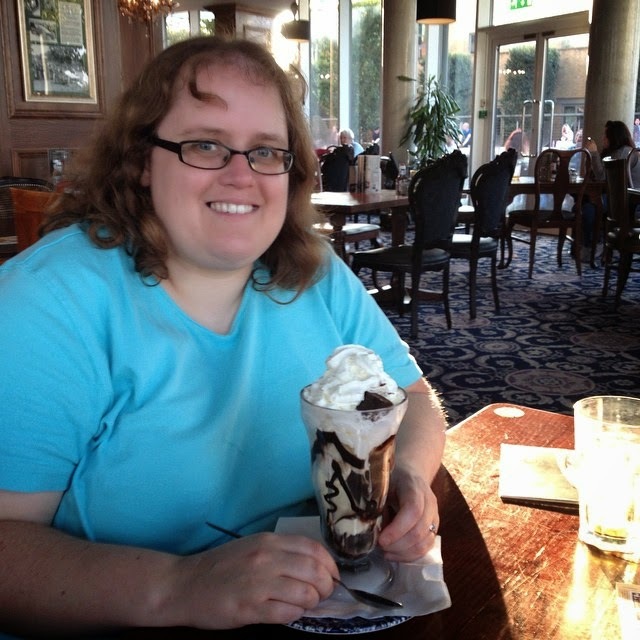 Time to share my wins of the week and whilst I write this I have just found out the fantastic news that I have won an iPad in a competition. I am absolutely chuffed to pieces!!!! I so love my hobby. Competition prize win number 1150: A set of Kellogg's Rio Balls. I am not sure if I won these from Asda or Tesco as they both ran competitions giving away 100 sets of them. 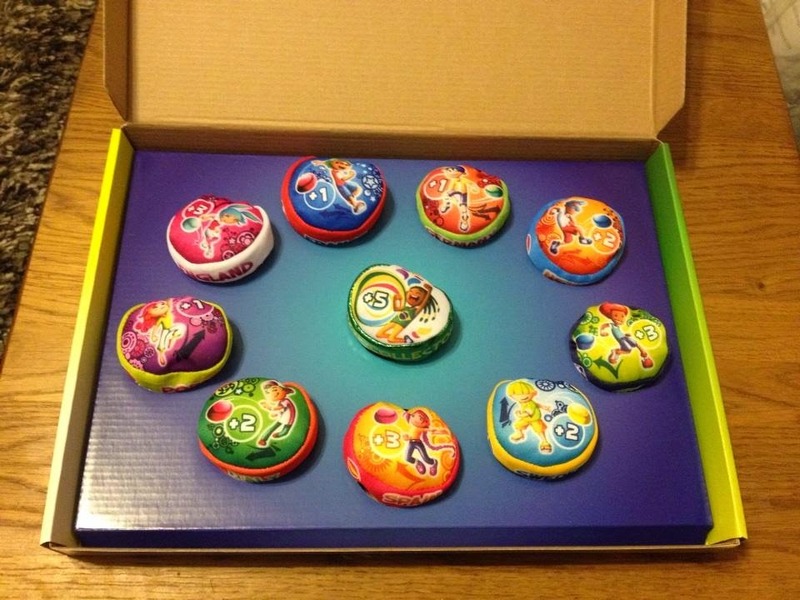 They are great as they are in a nice presentation box and you can find games you can play with them online so I think this will be great to take down to my dad's for my nieces and nephews to play with together. 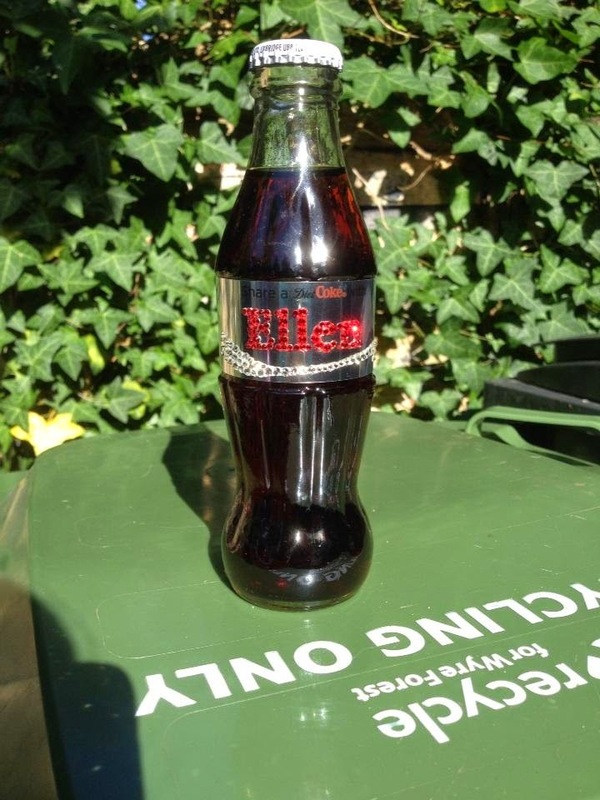 Competition prize win number 1151: My Diet Coke personalised bottle with name set in crystals, t-shirt and ring pull necklace I won from ASOS arrived. I was so looking forward to this and was not disappointed. I love personalised prizes as they make them extra special. 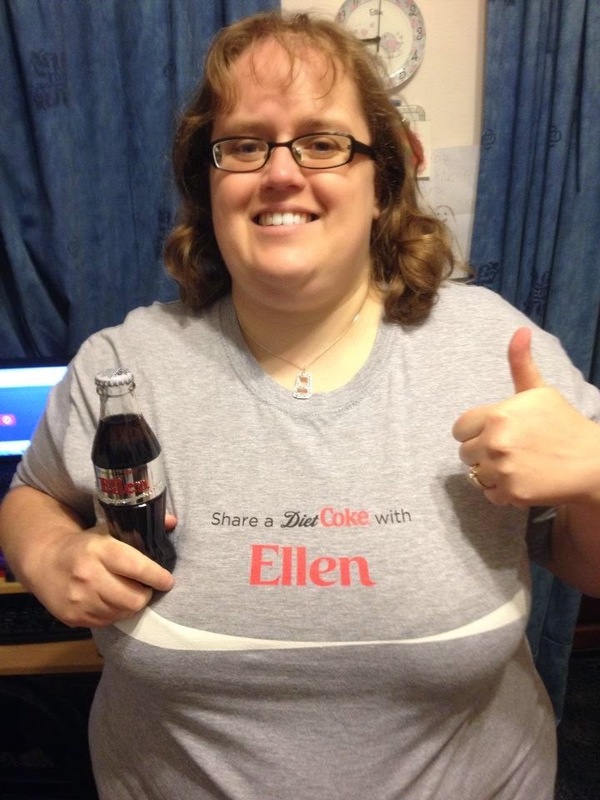 I did want to have Webkin written on the shirt and bottle but Diet Coke said no. It might be because of the Webkinz toy or a company with the name Webkin registered. It was a bit of a shame because I have had the nickname Webkin for about 18 years now. Still I was really pleased with the prizes (though I feel I need to lose a little more weight for the t-shirt to feel comfortable). The pictures don't do justice of how lovely and sparkly the bottle is! 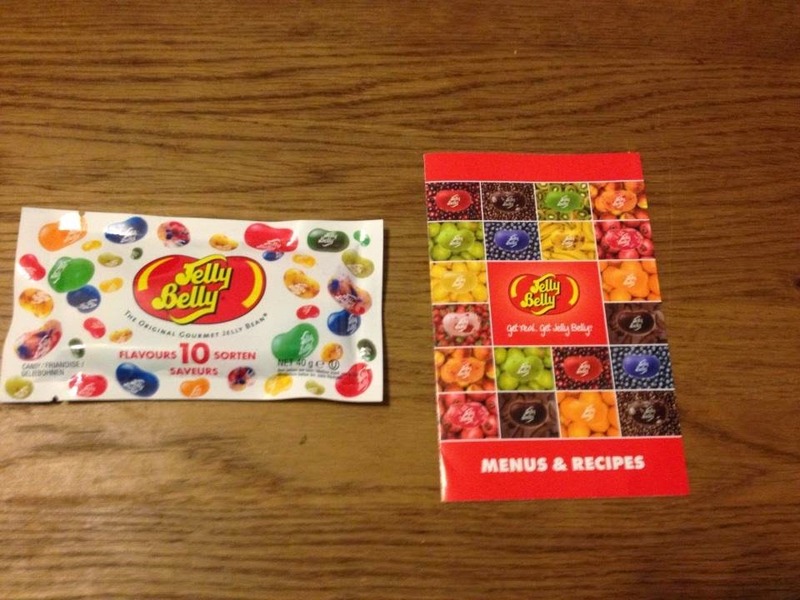 Competition prize win number 1152: Jelly Belly jelly beans. I won this on the Jelly Belly instant win game. So have a go everyone and see if you can win some. Some people are reporting it's best to refresh the page after every spin. I have been spinning about three times a day and won due to a glitch awhile back and then won again last week on my first spin. I love Jelly Belly jelly beans especially the cinnamon ones. 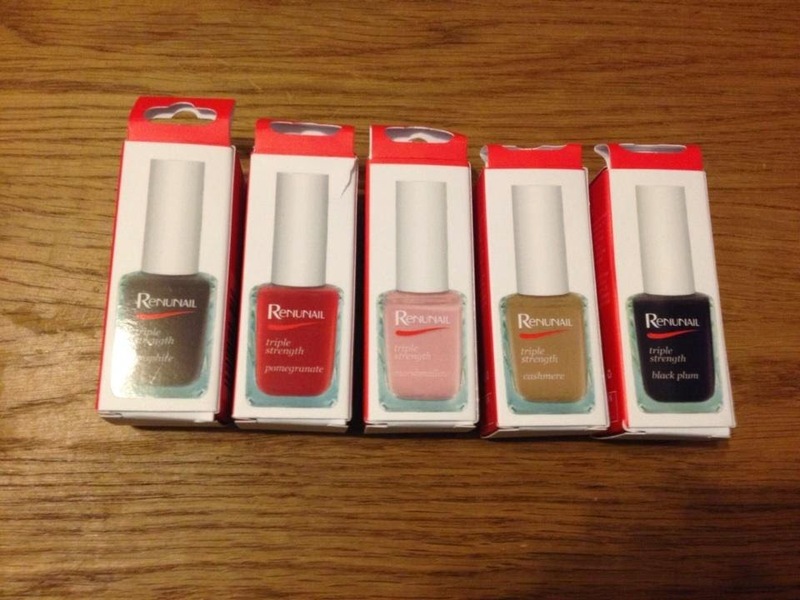 Competition prize win number 1153: A Renunail Nail Colour Set. I won these from Dr Lewinn's UK on twitter. Right now my nails are a state. I am trying to grow them again so I will give these to my sister who loves all things beauty. Why not leave me a comment of what you have won in the last week. Good luck everyone for the coming week.